A year round glacier tour that is short on time but big on adventure in Skaftafell. Discover why glacier walks are one of the most popular outdoor activities in Iceland. During this easy Glacier Walk , you will go on a short exploration of a stunning outlet glacier in Skaftafell. This icy giant is a breathtaking outlet glacier that extends from the mighty Vatnajökull, the largest glacier in Europe. 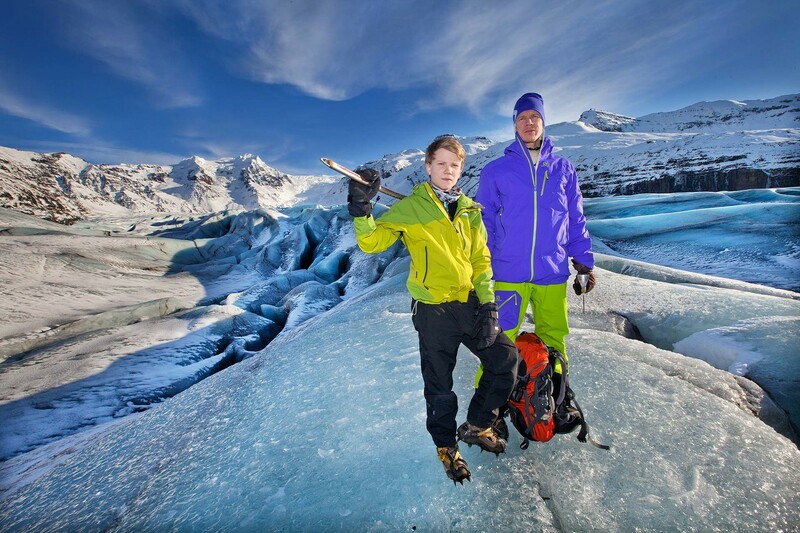 Your adventure starts off with meeting your certified and experienced glacier guide in Skaftafell. Your guide will instruct you on how to use the basic and required glacier equipment that we provide, like crampons and an ice axe. Once you step onto the ice field it will feel as if you have been transported to an icy, foreign planet. As you walk through a wonderland of glacial ice sculptures, ice ridges and deep crevasses on the glacier, you will witness stunning scenery as far as the eye can see. Don’t miss the opportunity to see this glacial wonderland in person. Incredible experience in every way! Our guide, August, was fantastic, getting the proper gear was seamless, evident that they wanted us to explore and have fun but safety came first (which is always what you want). A great experience for your first glacier walk and my best friend and I are already planning on coming back to Iceland in the summertime and will 100% do another glacier hike with them!